The Modern Benoni is one of Black's most swashbuckling openings, used to devastating effect by such players as Tal, Fischer, Kasparov and Topalov. From the outset, Black creates extreme imbalance, setting his piece activity and queenside play against White's spatial preponderance and central majority. However, during the 1980s and much of the 1990s, the Benoni fell under a cloud as a result of some very direct attacking systems by White. 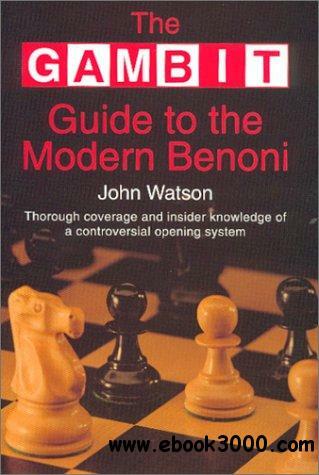 In this book, John Watson particularly focuses on various subtle move-orders by which Black can try to avoid White's most dangerous systems and direct the game into more palatable channels. King's Indian players will also find this book invaluable, since Watson covers many lines that can arise from King's Indian move-orders.